The highest performance, best made laser systems ! 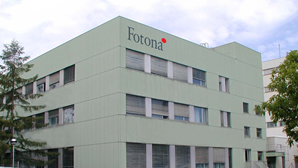 Fotona’s decades-long experience in the laser industry began 50 years ago in 1964, producing front-line laser devices for defense, optical communications, industrial, dental and medical applications throughout this time. Fotona today is a world-leading medical laser company recognized for its innovative, award-winning laser systems for applications in aesthetics & dermatology, dentistry, surgery and gynecology. Based in the US and EU, with corporate headquarters in San Clemente, California and Ljubljana, Slovenia, Fotona’s business philosophy is to continuously choose perfection to meet the needs of a highly demanding marketplace. The company has one of the most highly educated work forces in the industry, with an exceptionally high number of PhD’s specializing in laser and medical technology. Strong R&D capabilities have always been a key competitive advantage of the company, resulting in many patented solutions, including the OPTOflex® articulated arm, QSP(Quantum Square Pulse) and VSP (Variable Square Pulse) technologies, SMOOTH mode, Vacuum Cell technology, and many more. In order to read and be introduced to the Fotona treatments and prices press this link.